The EDC in partnership with the City of Clarksville and Montgomery County, funded the completion of the Joint Metro Region Research with the Nashville Area Chamber of Commerce. The research intensely analyzes the impact of the Nashville and Clarksville regions on each other. The Research Center focused on the concept of functional joined metros and how they contribute to the social and economic growth of the regions they represent. The project introduces a new way to understand the relationship of Clarksville-Montgomery County and Nashville as one dynamic, unified market for industrial and economic recruitment. 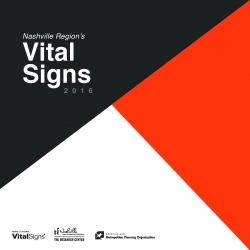 Download a copy of Vital Signs 2016.